Life is full of surprises – both good and bad. Not everything in life can be predicted, so just embrace the experiences, lessons and moments that make our lives rich, memorable and colorful. We will keep you surprised in a good way! Our November specials are Katsu Curry and Pumpkin Soup. Our Pumpkin Soup is made from scratch by our talented Zac Huff. It is sugar free, gluten free, soy free and seasoned with all natural ingredients. 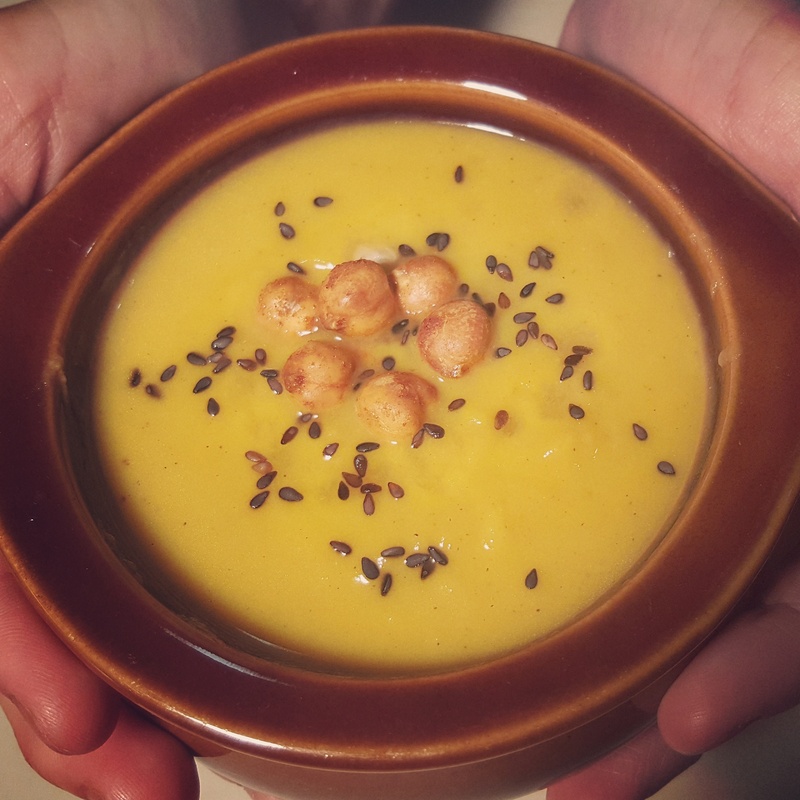 This soup is not only flavorful but also full of nutrients, like antioxidant rich pumpkin, celery, apples, carrots and extra virgin olive oil. This means it benefits joint health, organ health, stress relieve and soft tissue injuries. It’s also a great source of fiber that helps wash out toxins and keeps our body running smoothly. Follow this link for many more health benefits of pumpkins: http://www.huffingtonpost.com/2014/09/04/pumpkin-health-benefits_n_1936919.html Katsu Curry is a popular Japanese dish which is a combination of Japanese curry and Tonkatsu (breaded deep-fried pork cutlet). 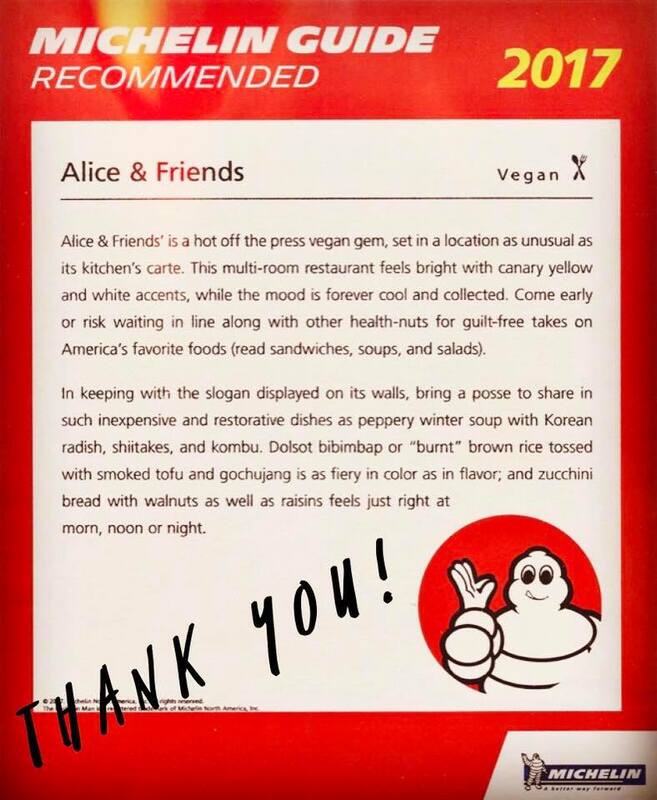 Our vegan version is Don Ka Su. Most Katsu curry is filled with MSG and artificial colors. 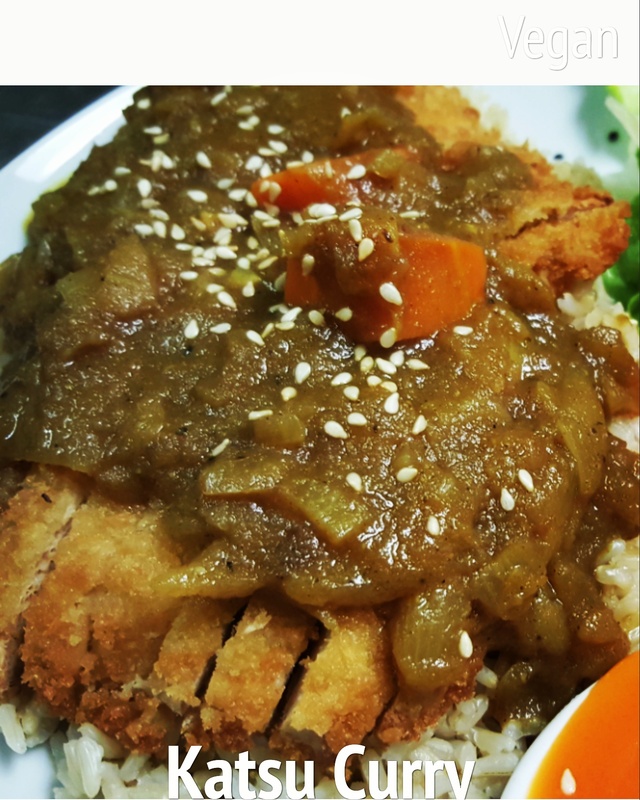 Our version of Katsu curry is prepared with all natural ingredients, never with MSG. Initially, we served it only for weekend lunch specials but due to its popularity and frequent requests, we added it to our dinner specials. Would you like to try some tonight?